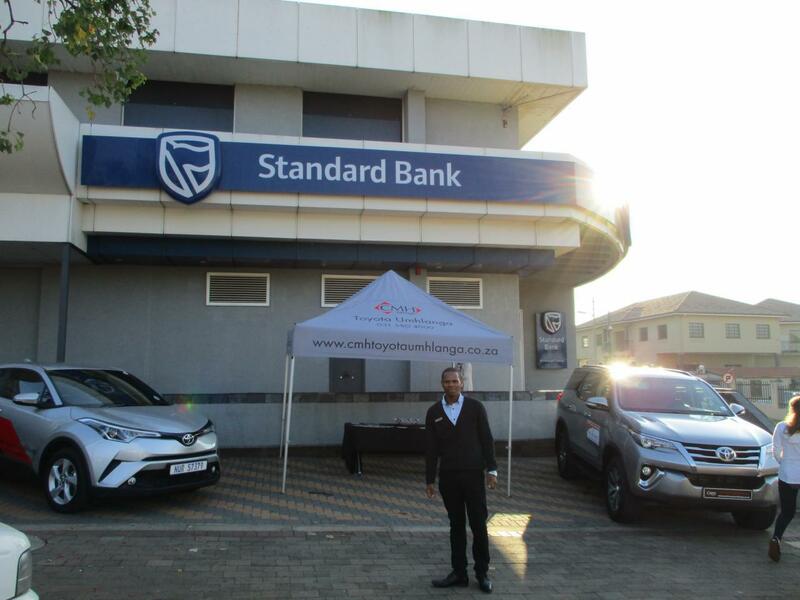 CMH Toyota Umhlanga were proud to partner with Standard Bank to display their fine range of vehicles at the Standard Bank Durban North Branch on Friday June 29th. 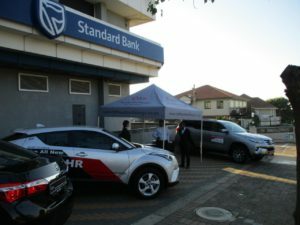 This display was held by the Standard Bank Asset and Vehicle Finance department of the branch to make customers aware of the vehicle financing options that Standard Bank offers to customers. 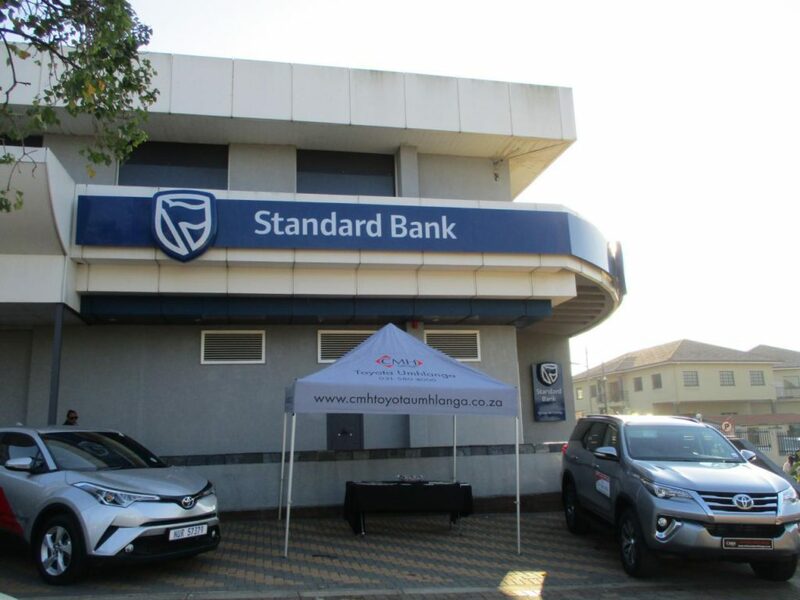 For Standard Bank it was a drive to prospect new business as well as targeting existing customers. At the display, representatives from Standard Bank Vehicle and Asset Finance were on hand to assist customers with any questions they may have had. 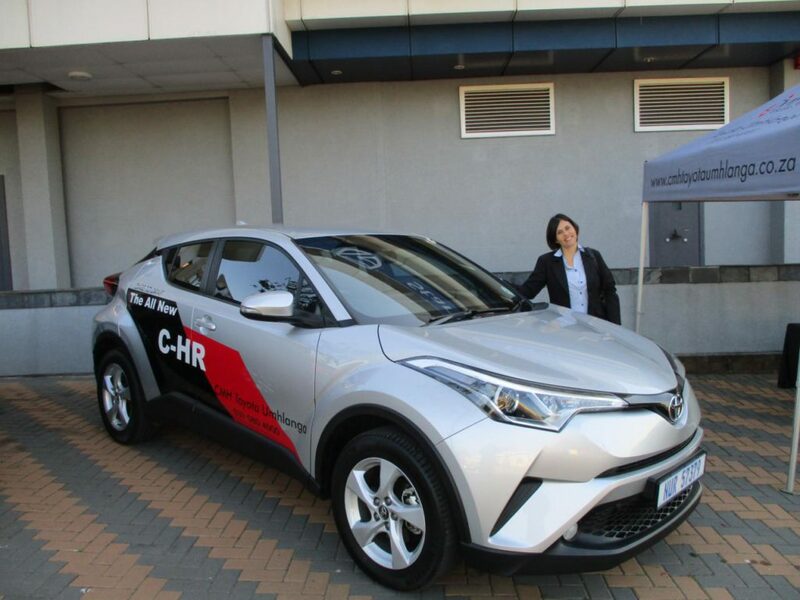 As part of this drive CMH Toyota Umhlanga displayed a few models of the range. The new car sales manager Patrick Pakaree and some of his sales staff were also on hand to meet and greet these customer. 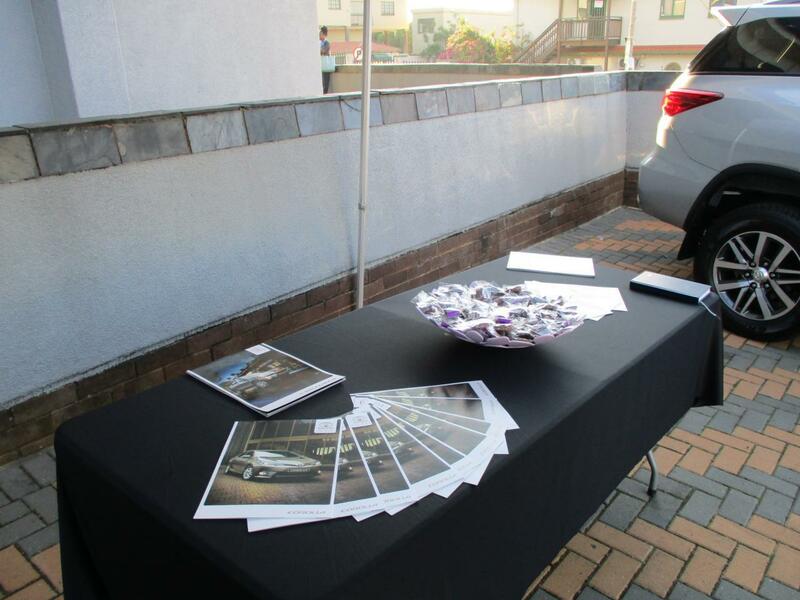 Armed with vehicle brochures and business cards the sales team were able to speak to customers about each car and what it has to offer, get an idea of what customers are looking for and give them a brief idea of how deals can be structured for them. The aim of this display being for customers to buy their vehicles from CMH Toyota Umhlanga and finance it with Standard Bank. 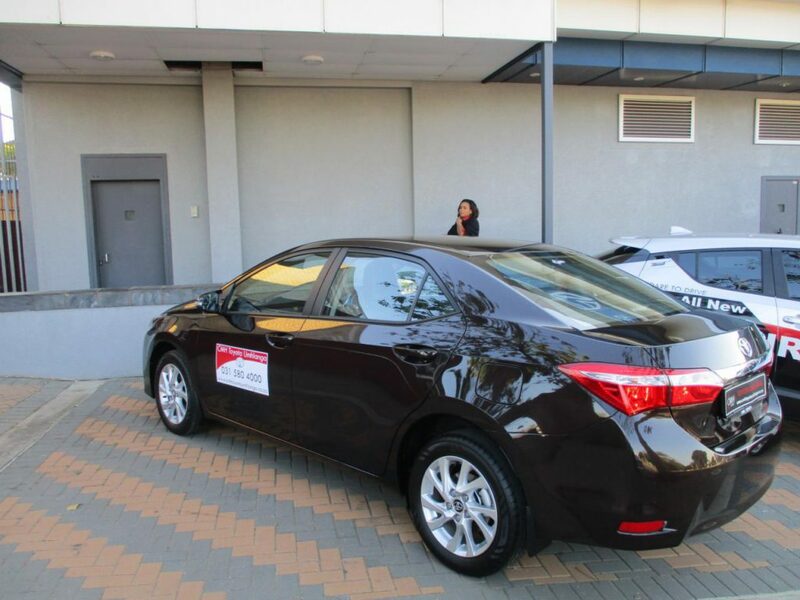 Toyota Umhlanga also offer in house financing. For all your vehicle financing needs visit us at Toyota Umhlanga and let one of our skilled sales executives put you into the car of your dreams and structure a deal that is tailor made for you.